Blue Teapot Theatre Co's actors are getting ready to stage a new interpretation of Dickens' Oliver Twist. THE PAST year has been something of an annus mirabilis for Galway’s Blue Teapot Theatre Company. Len Collin’s inspired film of the Blue Teapot play Sanctuary was screened in Britain to ecstatic reviews and was later shown by RTÉ. In May, the company staged its ground-breaking production of Dancing At Lughnasa at the Town Hall. 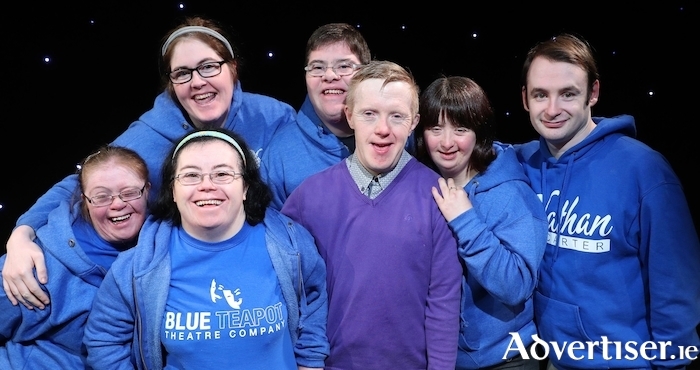 That performance saw Teapot member Jennifer Cox share the stage with some of Galway’s leading professional actors. Jennifer played the character of Rose, the ‘simple’ sister of the Mundy clan - the first time in Irish theatre that an actor with an intellectual disability had played this role giving the production a unique authenticity. Blue Teapot will bring the curtain down on its memorable 2018 with Oliver Twists, a new version of the Dickens classic adapted and directed by Rod Goodall which opens next week. During a break in rehearsals, Rod [pictured below] spoke with me about the show, beginning with an outline of his own involvement with Blue Teapot. “The Special Olympics in Dublin, in 2003, was my first time working with the Teapots,” Rod recalls. “I designed and directed a show called The Ball which was staged in Croke Park. The Teapots had a very strong part in that event and did a fantastic job. That was my first time coming across them. After that I did some drama classes with them so I’ve known many of them since 2002 and we’ve built up a good working relationship. Rod goes on to explain his choice of Oliver Twist as the basis for the show; “I wanted to do something by Dickens and at first I thought of doing A Christmas Carol, but it has been done so many times, so I started looking through other stuff by Dickens. I was greatly taken by Oliver Twist; Fagin is an archetypal character and when I read it I was completely enthralled by it and decided to adapt it. I’ve reduced the story because the original is massive with many, many, characters, and I had to cut a lot of those out. The cast of Oliver Twists features Michael Hayes (Fagin ), Richard Hickey (Oliver ), Charlene Kelly (Nancy ), Paul Connolly (Bill Sykes ), and Patrick Becker (The Artful Dodger ). The show opens at 11am on Wednesday December 5, at Blue Teapot’s theatre in Munster Avenue, and runs to December 15 (no performances on December 9, 10, or 11 ). Be warned however that, at the time of this article going to press, Oliver Twists was already looking certain to be a sell out. A triumphant finale to a remarkable year for all involved with Blue Teapot.